Living room remodel continues!! 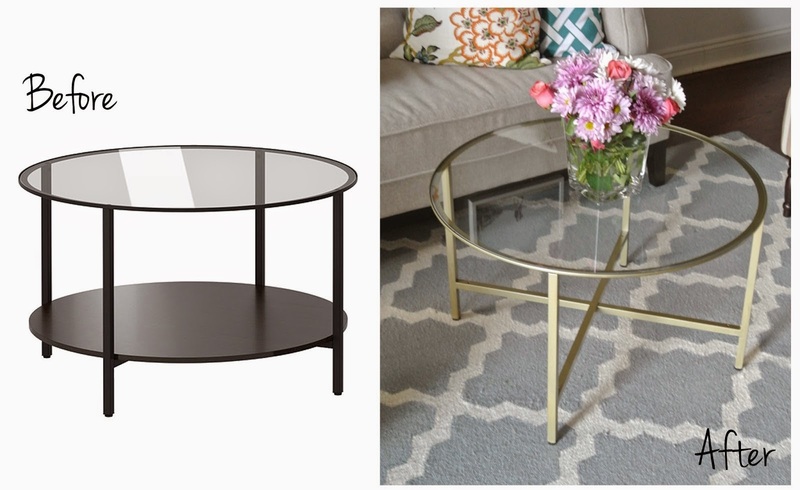 After moving all the furniture I realized I needed some kind of coffee table or accent table. I wanted something small and gold, to bring in more of that accent color and brighten up the space a little. Plus with all the gold floating around lately there were just so many beautiful options! Then I stumbled across this little hack on Pinterest, and I found the perfect match! Thank you Olive Lane Interiors! So I headed over to Ikea to pick up the Vittsjo coffee table (which now also comes in white). I already had some gold spray paint, I used Rust-oleum metallic gold. And voila! My own transformation. I love it!! It really completes the space. 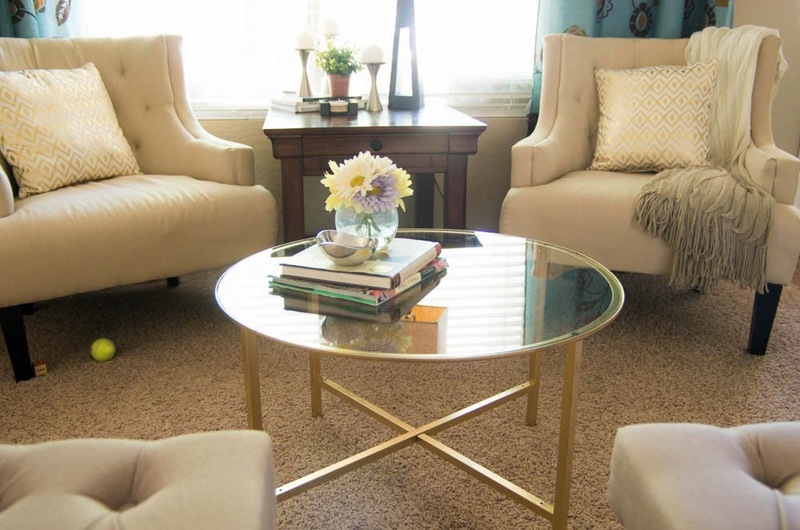 Looking to add come gold accents? 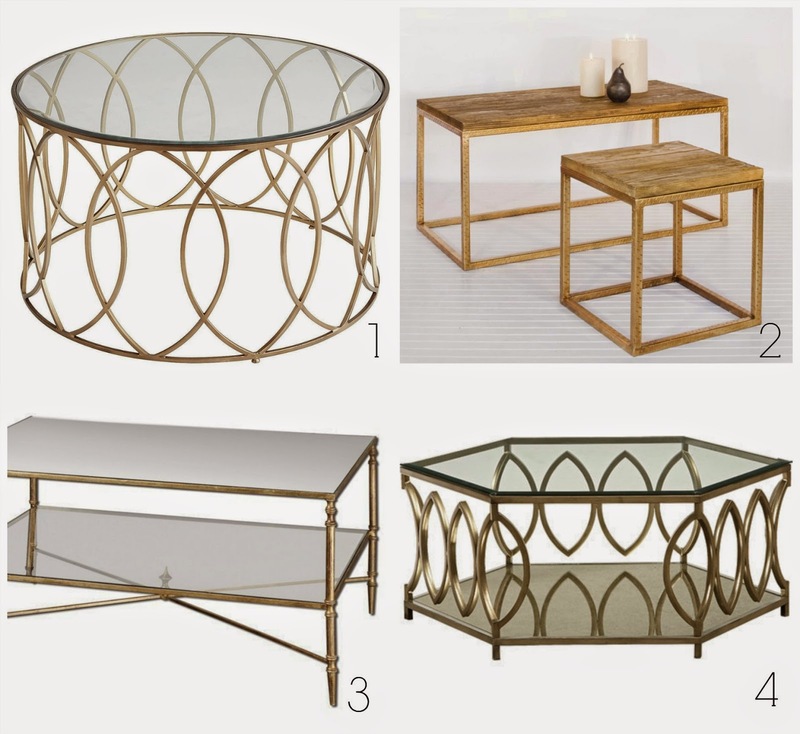 Check out these table options. Or why not do a hack of your own? 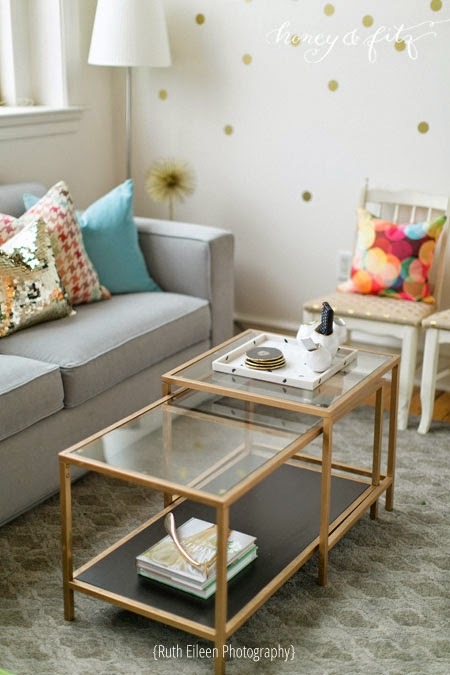 There are lots of ideas on Pinterest, including this beauty, also an Ikea hack! Charley’s Third Birthday Safari Party!